Sharing a few fun designs I did using different coloring techniques with Spectrum Noir inks. 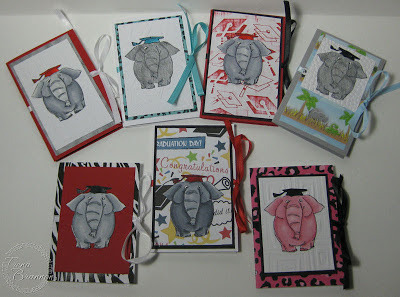 Please click on the photo to see the details of how I made them over at my Stampin' Headquarters. Sharing a couple designs I did over at my Stampin' Headquarters. I used a piece of cardstock to capture excess ink from the bookmarks and then used it as the background for a greeting card. These designs features Sheena Douglass Designs. Please click on the photo to see the details of how I made them. Lynn Tsan, independent artist, was there doing a demo on Crescent products. They have some very cool surfaces. I'm going to try all my markers and all my paints on them.! The staff at Blick was telling me about a contest they had with RendR No Show Thru Paper and how durable it is. You can use both sides no matter what the medium. You can see Lynn's awesome portfolio here. Diana Garrett, Fine Art Consumer Specialist for Prismacolor, shared examples of her artwork using various Prismacolor products. She made me want to come home and get my pencils out! Check out her Good Luck Ginko when you go to her gallery. I learned a really cool technique with hand sanitizer from her. I'll make something using it soon! If you see these two artists any place, you'll want to check them out!! We'll be coloring images with a masculine theme. One lucky student will receive a brand new Copic 72 marker wallet. We'll have a drawing during class. Hope you can join us! Please contact the store to sign up! The images used in class are from Crafter's Companion, Art Impressions and Art Gone Wild.